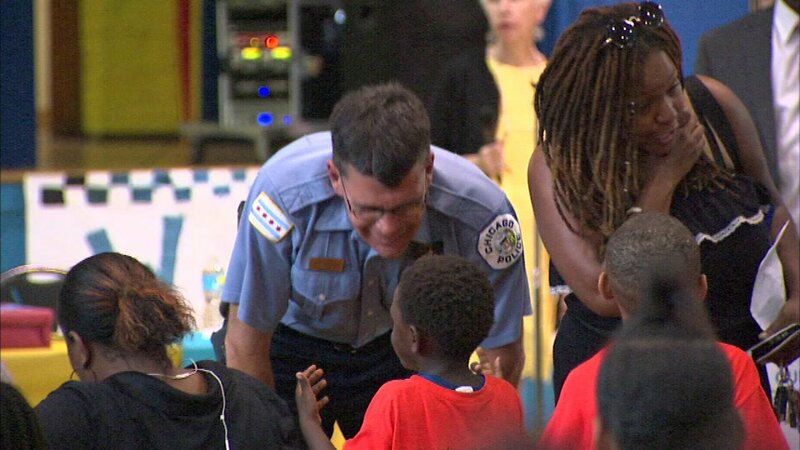 CHICAGO (WLS) -- A West Englewood school honored a Chicago police officer for his commitment to keep their school safe. The students and faculty of The Academy of St. Benedict the African presented a plaque to Officer Mike Cleary. The school's principal said Officer Cleary has helped to eliminate vandalism and loitering at the school. "I just want them to know that this is a safe school and that's why I make my presence known, come by as often as I can. I talk to the kids," Cleary said. Officer Cleary has been giving extra attention to St. Benedict for 10 years now.